How many times have you coveted that latest 'it' bag but have never been able to afford it ? And then you see it on the Internet or in a shady store for a fraction of the price. But instead of buying please save up and buy the authentic bag or a high street alternative, I promise you the thrill will be better. 1.Legality - Selling and buying fake handbags is illegal. Fake handbags infringe on the copyright of the designer or brand. Unless the seller states that the bag is a fake it is illegal. 2.Designers - By buying a fake handbag you are hurting the designers and brands. You are making a mockery of the time, effort and creativity that went into the designs for that bag. And at the end of the day if a designer has to take a legal case against a group for individual for stealing a design and making a fake, the price of the real bag is only going to go up. 3.Appearance - The majority of fake bags are made from substandard materials and have poor shoddy craftsmanship. Fake bags do not go through the same rigorous quality checks that designer bags do. most of the time the leather is either fake or extremely bad quality, the dye is uneven and the stitching is crocked The makers of fake designer handbags are only concerned with the superficial appearance of the fake bag, not of the quality. You get what you pay for. 4.Organised Crime - U.S. authorities have reported that the sale of counterfeit goods, including fake designer handbags, is a source of funding for terrorist groups throughout the world. When buying a fake handbag many people don't realise that they are also funding organised crime. Fake bags are usually produced in countries that use child labour. Most of these children work in appalling conditions. One recent report of a raid in Thailand tells about young children with broken legs being forced to work to produce fake designer bags. On my search for the perfect summer sandals I stumbled upon these beauties from J.Crew. The J.Crew Lillian low wedges come in black honey brown, silver, gold glitter, lustrous blue and retro purple. The Lillian is a really great little wedge, easy to wear and walk in. 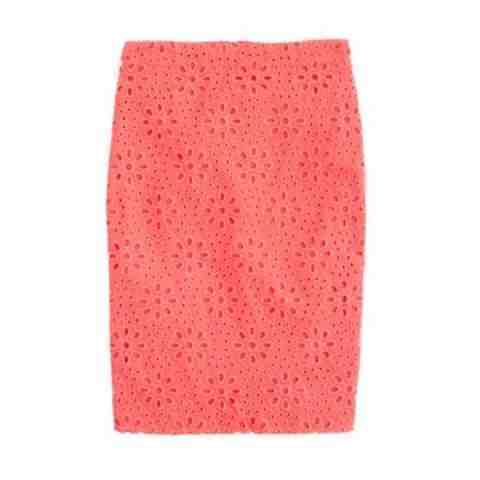 the wedge is the perfect height so that you can wear them all day and still look stylish. The glitter gives these low wedges an air of summery fun. The Lillian sandals are available from the J.Crew website and cost €271. As much as I love the Lillian sandals, they just would not be worth the money considering the Summer we get here in Ireland. Fortunately I have found a high street alternative. The sandals below may have slightly different straps but they do bear a striking resemblance to the Lillian sandals. The sandals below are the Steven Tippsy glitter sandals and available from shopbop.com, they cost €80. Today High Street Couture hit 50,000 views. "Thanks", I rarely say that word here on my blog, and now I really want to thank every reader, liker, sharer, commenter and tweeter(?) from the bottom of my empty pockets. Every comment brightened up my days and made me smile. I honestly don't think I would have continued the blog if it wasn't for you guys and gals. You’re helping me to live out my dreams, and just in case you didn’t know P.S. I LOVE YOU more each day for it. Every women needs that LBD (Little Black Dress) that can be taken from day to night. And this dress is it. A LBD is the ultimate essential in a woman's wardrobe. For a casual look this dress could be worn with a cardie, scarf and flats. To dress it up it could be worn with a pair of heels and some statement jewellery. The dress below is Twenty8Twelve and available from shopbop.com, it costs €440. Even though the Twenty8Twelve dress is the versatile LBD that will get you through the year, the price tag of €440 is a bit heavy. But fortunately for you I have found an alternative. The dress below is nearly identical to the Twenty8Twelve dress and even has the same drop waist. This dress is from asos.com and costs €23.20. Since the very first time I saw these sunglasses, I wanted a pair. The Tom Ford 'Nikita' sunglasses embody grace and elegance. 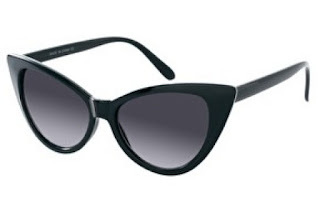 These beautiful cat-eye sunglassses look like they have come straight out of the 1950s. These sunglasses ave been worn by the likes of Cate Blanchett, Kim Kardashian and Scarlett Johansson.The Tom Ford 'Nikita' sunglasses are available from farfetch.com and cost €375. If you love these sunglasses as much as I do there is a Look4Less below. Upon hearing the price of the Tom Ford sunglasses I lost all hope of ever owning a pair. However, today I stumbled upon a pair of sunnies which are virtually identical. The cat-eye sunglasses below are from Asos and cost a fraction of the price of the Tom Ford sunglasses at €17.They add the perfect amount of Hollywood glamour to any outfit. It's officially Summer, which means its officially time to pull out that figure hugging white dress. Alexander Wang is known for his simplicity but this season he took it to a whole new level, using a monochrome palette throughout his collection. His use of sheer cutouts made it look like the clothes were suspended or floating. The dresses are beautiful and minimalistic. The dress below is an example of this from his most recent collection. This dress costs €2380 and is available from Colette.fr. The Alexa bag is inspired by and named after British broadcaster and fashion icon Alexa Chung. In my view the bag is a young, hip take on Mulberry's classic Bayswater bag. This bag is one of those it-bags that truly did make it into the iconic category. 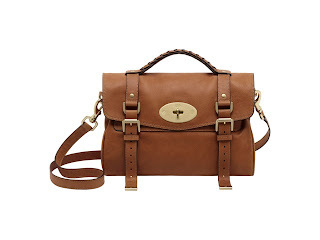 The Mulberry Alexa has been seen everywhere, on, of course, the shoulder of Alexa Chung herself, but also on tons of fashionistas all over the world, including Victoria Beckham and SJP. The Mulberry Alexa retails for €1150. I love the slouchy style of the Alexa bag, it's causal yet polished at the same time. This bag is extremely adaptable, it can be wore as a shoulder bag, cross body or carried in your hand. Unfortunately for me this bag is out of my grasp for a long while yet. 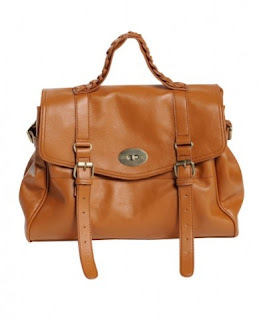 The bag below is obviously inspired by the Mulberry Alexa, it is from Chicnova.com and costs €103.